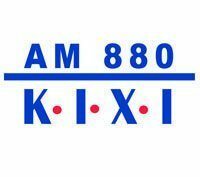 AM 880 KIXI is a heritage station, serving listeners in greater Seattle for nearly 50 years, playing “Music As Cool Now As It Was Then.” KIXI’s multi-generational audience is among the most loyal and exclusive in the market. KIXI airs a locally programmed “Retro Radio” boutique format built on a one-of-a-kind music mix that spans decades of timeless classic hits from The Rat Pack to Elvis, from the Beatles to Michael Buble’. Listeners love the exciting edge that today’s music provides while we continue to celebrate the music our listeners have grown up with. Every night “The KIXI Radio Theatre” presents the finest in Radio Theatre programming, featuring classic shows and stars from Radio’s Golden Days, and the leading edge in contemporary Radio Drama.